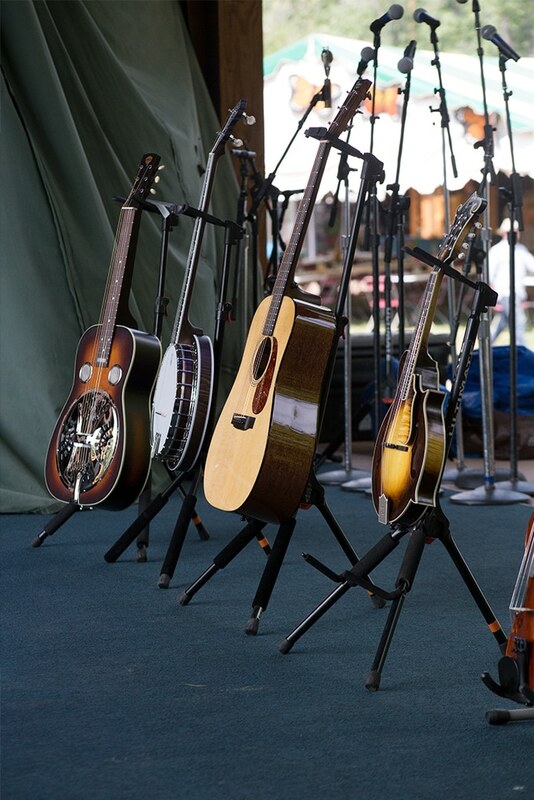 Planet Bluegrass has gathered the Bluegrass family and music lovers together for years, actually over 40 years since the start of the Telluride Bluegrass Festival in 1974 with 1,000 Festivarians. By 1978 – 7,500 people where going to listen to bluegrass, brought from all over the country, to this small mountain town. 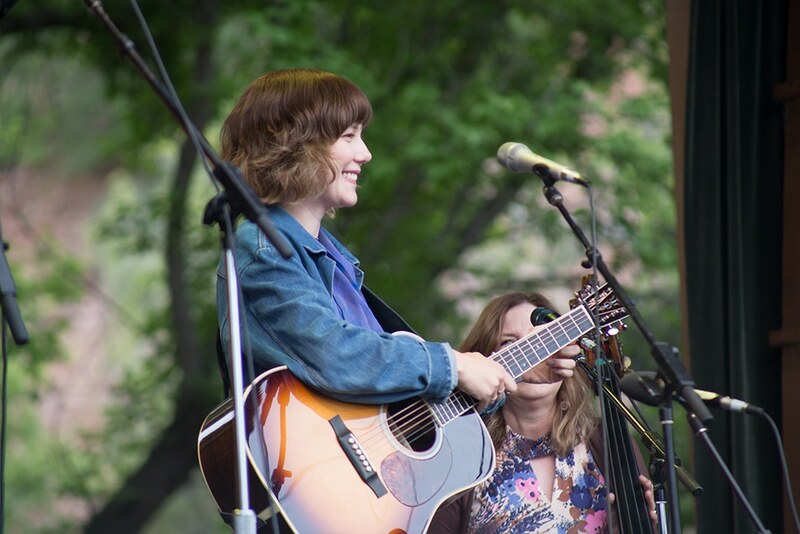 The RockyGrass Festival is also run by Planet Bluegrass and is hosted in Lyons, Colorado. The festival this year was their 46th! It is a beautiful setting for their two stages surrounded by canyon walls and a river to keep everyone cool. 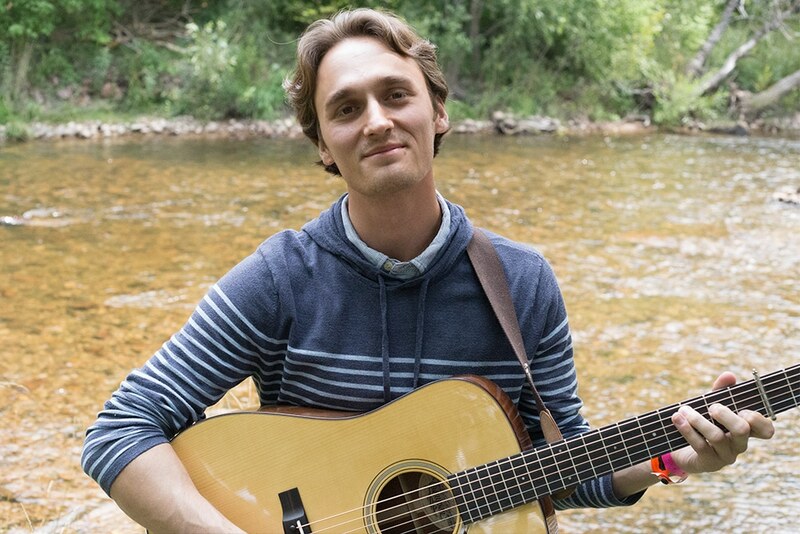 This year we were invited to be the prize for the 1st place winner of the guitar flatpick competition and built a Mahogany Dreadnought with Adirondack top and vintage toner. 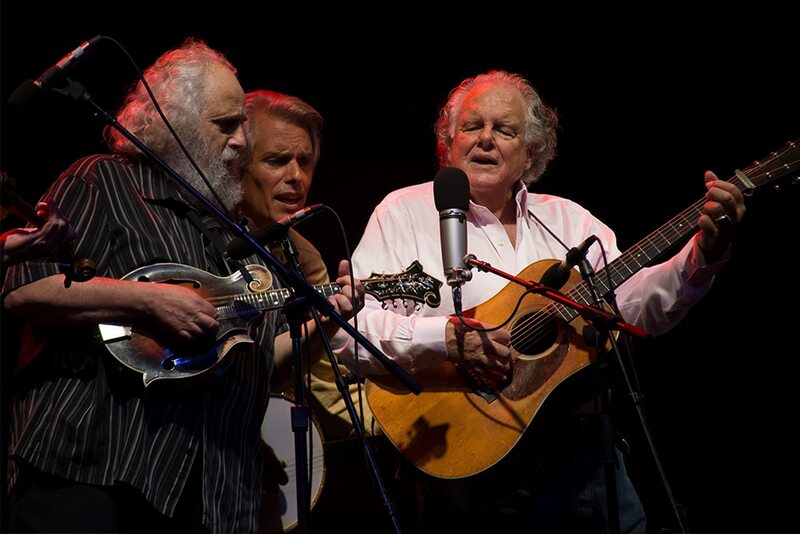 We were so honored to be chosen because of Preston Thompson’s connection in the bluegrass world dating back to the early 80’s and his friendship with Charles Sawtelle and Peter Rowan. Charles and Peter were both playing a Thompson when Preston’s guitars were one of the prizes in the mid 80’s at Winfield, yet another long standing music festival known for their competitions in flatpicking and fingerpicking. We sent Joel Chadd and David Peto, both Thompson builders, to the festival to share their knowledge of guitar making, listen to great music, meet up with some of our current featured artists like Molly Tuttle, Josh Rinkel (The Po’ Ramblin’ Boys) and Peter Rowan, but most importantly to hand over the D-MA we built for the winner, Geordie Halma, of the flatpick competition. Joel and David had a chance to do some filming, take some great photos and meet new folks that have heard about our guitars. We brought a 2nd D-MA for musicians to hear the tone of our guitars first hand. It was a great introduction to the bluegrass family that Planet Bluegrass has fostered for so many years. They are keeping these festivals alive to pass along the love of music to the next generation of listeners and players. The music was amazing and we can’t wait for next July! 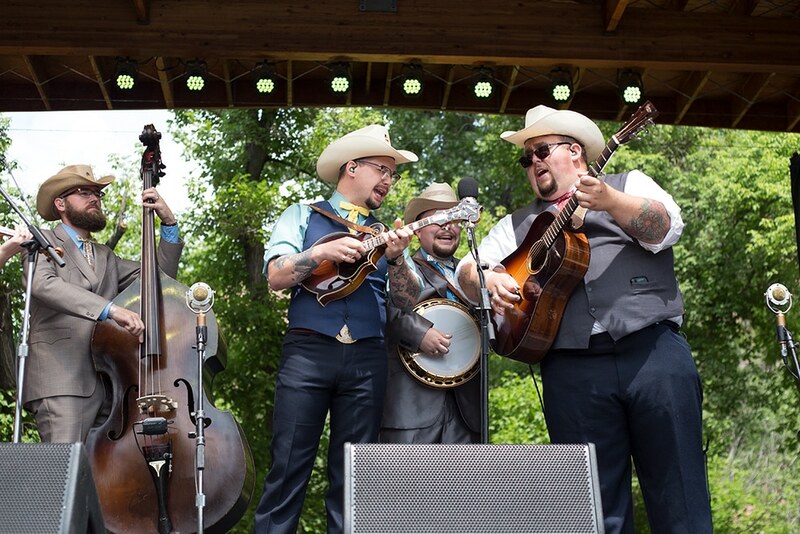 Thanks Alannah Rudd and Steve Szymanski for helping us navigate our first RockyGrass festival and we look forward to being a part of Flatpick competition for many years to come! GEORDIE HALMA – Playing during the flatpick competition and on his new Thompson D-MA.